In the twenty-first century, women have not only become wealth creators but also change agents by creating organizations of future. Recent years have seen an unprecedented rise of women in the different spheres of life. Women have made strides in the corporate world in the last three decades, quietly breaking through the barriers of social compliance, both at home and workplace to become successful entrepreneurs and working professionals.India’s female entrepreneurship environment has also revealed statistics of improvement in terms of starting new ventures and running them successfully. I firmly believe that a leader must have a clear vision, ability to strategize and lead the team towards achieving the vision by meticulous execution. The leader should be unbiased, patient and possess people management skills, recognizing capabilities and delegating responsibilities accordingly, standing for what he or she believes in, fearlessly. The role of a leader is to keep the morale of employees high and steer the organization out of crisis. I have just taken over as the president of FICCI and it is for the first time the Tourism and Hospitality sector is being represented. In my present capacity, I am promoting much more than just tourism. At FICCI, we are engaged with numerous events and initiatives for promotion of Indian industry. One of the themes which is close to my heart is promotion of Women Entrepreneurship. In April 2013 FICCI Ladies Organisation FLO published a compilation of stories of 150 Women achievers entitled Entrepreneurship Against All Odds. These stories provide insight into how these women struggled, fought and overcame obstacles to create a space for themselves in the world of entrepreneurship. A world dominated by men. Each story is an example of grit, determination and the power of Stree Shakti, in its true sense. When I read these stories, I feel inspired and motivated. These stories remind me of my own journey as a woman entrepreneur. On October 10, 2006, my life took a complete change, when I lost my husband. Within 10 days of my husband passing away, I had to take over as the Chairperson & Managing Director of the company. My family and employees were looking up to me and I had a huge responsibility towards them. I got so deeply involved with work that I had no time to grieve. For me every step was a learning process. Even though hospitality comes naturally to us, it was not a profession I was trained for. I learnt on the job and I am still learning. I faced and continue to face challenges like any other entrepreneur inIndiaand have no choice but to deal with them. I have never given up. Patience and perseverance has helped me reach at this stage from where I can contribute back towards society. One of the key decisions I took after taking over, as the CMD was to carve a new identity for the Group under the brand name ‘The Lalit’. A brand change is a huge exercise; we worked on it for a year before changing the name. Since my husband was the one who established the business, rebranding it as ‘The Lalit’ came naturally. The company grew from strength to strength and from seven operational hotels when I took over, we are today one of the largest privately owned hotel chain inIndia. I do not believe in just developing hotels but believe in developing destinations. Our initiatives involve the local population especially women, their handicrafts, culture and food, thereby giving them training and employment to boost the economic environment. A nation can only develop when all the people in the country are educated and are economically independent. The number of women taking on entrepreneurial responsibilities has also picked up over the years, indicating a healthy trend. However, despite the number slowly growing, women entrepreneurship inIndiastill has a long way to go. More and more Indian women need to be convinced about the potential they have for beginning a new venture. The reason for this being that many women lose their interest and give up midway not because it is hard to become an entrepreneur but because they find their journey too uphill to become one. 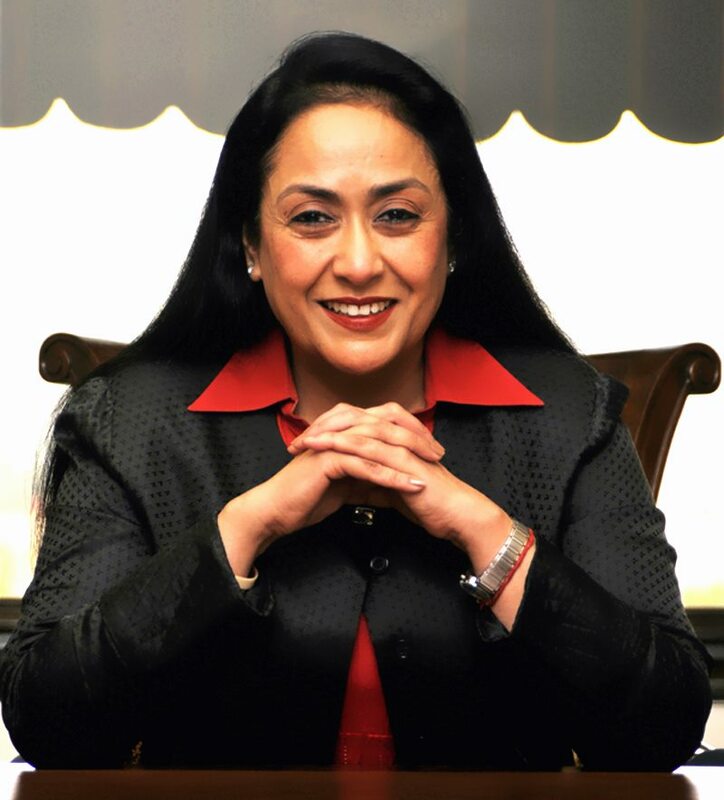 India has witnessed a plethora of successful women entrepreneurs like Radha Bhatia (Chairperson, Bird Group), Mallika Srinivasan (Chairman and CEO, Tractors and Farm Equipment), Priya Paul (Chairperson, Apeejay Park Hotels), Shahnaz Husain (CEO, Shahnaz Herbals Inc.), Ekta Kapoor (Joint Managing Director, Balaji Telefilms) and also women who have reached highest level of Multinational Companies like Indra Krishnamurthy Nooyi (Chairperson and Chief Executive Officer, Pepsico), Naina Lal Kidwai (Group General Manager and Country Head, HSBC India), Chanda Kochar (CEO and MD, ICICI Bank). Though women are equally competent in running their own business, there are social and cultural hurdles in the way to women entrepreneurship; the major being traditional mindset of male dominant corporate scenario not just inIndiabut world over. I am often asked whether being a woman posed any gender-specific challenges to me over the years. My answer is always in the negative. I believe that if one has the leadership capabilities, gender has little or no role to play in a person’s success. At the end of the day, the role of a leader remains the same – establish and articulate a vision, and then lead and inspire a team to achieve it. Anyone who possesses these qualities can rise to head an organization. I follow the same principle in my organization and give equal opportunity to both men and women. Today, my daughters as well as my son are working with me and are in charge of important portfolios in the company. I would love to see more and more Indian women coming out and holding senior positions in organizations. Women have some inherent qualities that make them successful leaders. A woman’s ability to multitask is a great asset and comes in very handy at the workplace, especially at the senior management level, where one is constantly juggling several initiatives and wearing different hats while still moving with singular focus towards a goal. Indiais at the cusp of economic transition, which provides fascinating opportunities for women participation in the field of Entrepreneurship. Promotion of women entrepreneurship requires multi pronged strategy involving various stakeholders namely government, financial institutions, think tanks, business and industry associations, and more importantly successful individual women entrepreneurs. We, at FICCI are working towards creating entrepreneurial awareness, capacity building and skill development, and play an important role realising the power of women in corporate world.